I love following Instagram accounts with beautiful photos and a seamless feed. There's just something so aesthetically pleasing about it. It's art. I have a DSLR.. but I don't enjoy picking it up. I know how to use it enough to get good photos.. but it feels so time consuming to pick it up. It's like an extra step. And it's big. 99% of my photos are iPhone only. It's convenient. My husband is not a photographer. He doesn't think to take photos or he gets the weirdest angles and he doesn't know how to adjust the lighting. If I want photos with my kids.. we have to hire a professional. That's not feasible for everyday life. I invested in an iPhone tripod and a bluetooth shutter remote (under $30 total) so I could take my own photos. You might not see it, but if I'm in a photo, I'm almost always holding that shutter remote. I take photos in natural light. This is probably the main contributing factor to my photos. I edit my photos with the PicTapGo app. I use it to brighten/lighten/soften my photos. My go-to filters in there are Lights On > Brightside > Air > Cool It Down > Orange You Glad > Simple BW and sometimes Contrast, Sugar Rush, and Montecito. You have the option of adjusting the effect of each filter. I don't think about photo ops/projects in advance. We are random here and sometimes, we just dress up. I like to dress Olivia up everyday because having a daughter is fun (some days we live in pajamas too). The Halloween thing though.. that's been planned. Everything else.. I go with the flow. I go by how I'm feeling or when I have bursts of inspiration. Or maybe when I see something I want to take a picture of. I wish I had the capacity to mastermind like that.. but it's really not that thought out here. Enter planoly: Instagram's first visual planner and scheduler. When Brandy told me about planoly, I thought it was a groundbreaking concept. She definitely needed it because she puts so much effort into everything she touches, including her Instagram feed (it's flawless). And she was always SO busy. Working on something. Planning something. Designing something. While being an amazing mom and wife. I once told her to take it easy on herself and give herself a break. If there's anywhere she can give, it's Instagram. The admirable thing about her.. she didn't settle. Instead, she and her husband got innovative. They created an app where you can design your feed before you ever publish it. This is something plenty of people could use to make their lives way easier because Instagram isn't just a place to share photos and connect anymore.. it's a business too. True story: I love everything about organizing. I gave it a try because she asked me to be a beta tester. I told her I didn't think I'd be of much help because I don't plan and I don't know what I'm doing. Turns out.. I didn't know I needed it. 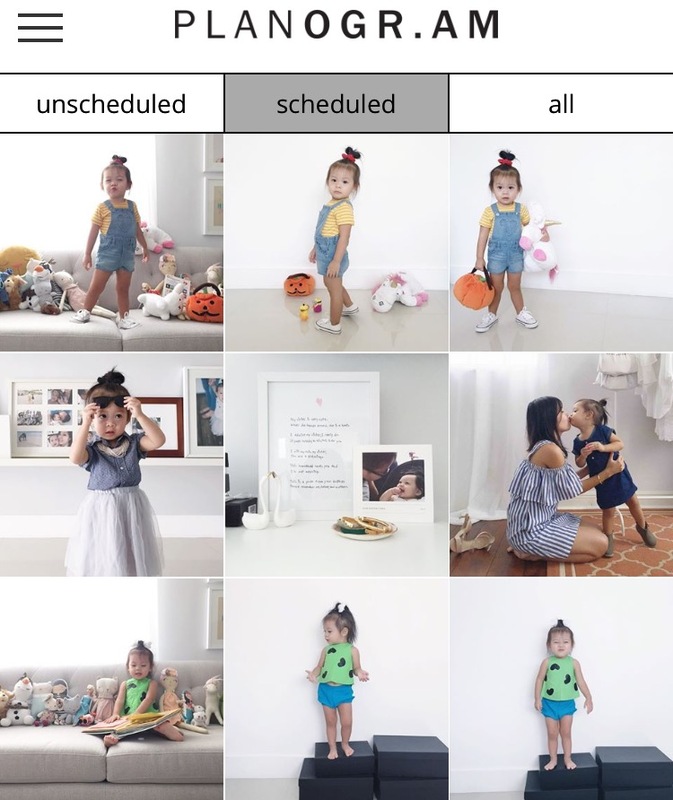 Before, when I edited a photo and wasn't sure about the lighting, I would screen cap my feed next to the photo in question to see if it flowed. Crazy, but true. OCD. Other times, if I had a lot of photos I wanted to share, but didn't want to flood my feed in one day, it would sit in my photo gallery and I'd have to scroll back to find it. With planoly, I could do all of that in one place with ease. I have no issues using it with liketoknow.it as well! I'm a visual person so my favorite part is being able to view my future feed and knowing that it goes with my aesthetic. It also helps that the app pulls some photos from my current feed so I know what I'm adding to. I even add blank white squares in places where I don't know what photo to use or I don't have one that looks quite right there yet. It's like a puzzle waiting to be solved! PS. Download it here and let me know what you think!